Mr. Paul W. Murphy, 85, of Chelmsford, MA died Saturday evening, April 13, 2019 at the Sawtelle Hospice House in Reading, MA surrounded by his loving family. He was married to Beverly M. (Ambrose) Murphy with whom he would have celebrated their 59th wedding anniversary on June 25, 2019. Born on February 17, 1934, Paul was the son of the late Walter and Ann (McHugh) Murphy. He was a graduate of Winchester High School with the Class of 1952. Paul graduated from Boston University with a Bachelor in Science in Public Relations with the Class of 1956. From 1959 to 1994, Paul taught 9th grade science in the Chelmsford Public Schools. Paul also worked part-time at W.R. Grace in the purchasing department. He was a communicant of St. Mary Church of Chelmsford, MA. Paul was a founding member of the 4th of July Road Race in Chelmsford. He served on the Chelmsford Recreation Commission for years, and was recognized for his longtime service to the community having the Mill Rd. Soccer fields named after him, Murphy Field. He was past president of the Senior League at the Groton Country Club. He enjoyed woodworking, gardening, reading, and playing golf. In addition to his wife, he is survived by a daughter, Deborah and her husband, Michael Ruggiero of Westford, MA; two sons, Paul Murphy and his partner, Ben Hescott of Arlington, MA, and Peter Murphy and his wife, Elaine Yutan of Mill Valley, CA; four grandchildren, Kaitlyn Zadalis, Emily Ruggiero, and Samantha and Matthew Murphy; and two great grandchildren, Mae and Liam Zadalis. He was the brother of the late Walter, Francis, and Donald Murphy. 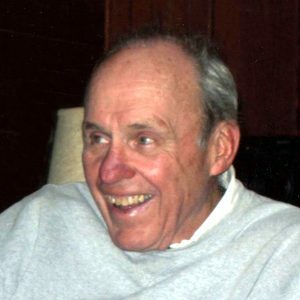 MURPHY, Paul W. Murphy, 85, of Chelmsford, MA died April 13, 2019. Visiting hours Tues. 4 to 7 P.M. Funeral Wed. at 10am from the DOLAN FUNERAL HOME, 106 MIDDLESEX ST. CHELMSFORD, with a funeral Mass at 11am at St. Mary Church, 25 North Rd., Chelmsford, MA. A private burial will take place at a later date in Fairview Cemetery, Westford. Memorials may be made in his name to the American Cancer Society, 30 Speen St., Framingham, MA 01701. ARRANGEMENTS BY DOLAN FUNERAL HOME 978-256-4040.